I realy love your radio show. The best ever. Never stop to educate us. Le mais s'explique du fait de l'absence de titres pour chaque épisode... SVP un petit effort, ce podcast est parmi les meilleurs! I've been listening to this podcast regularly for about two years. The programs are well-researched, interesting, varied in topic, and are easy to follow for non-native speakers of French. The alternation of interviews and audio clips within the program makes it engaging and fun to listen to. They have an amazing range of subjects including current events, social issues, historical conflicts, art, literature and important historical figures. It's the only podcast that I've listened to continually for so long because of it's great programming and format. Excellent... mais s'vp ajouter le sujet du jour? 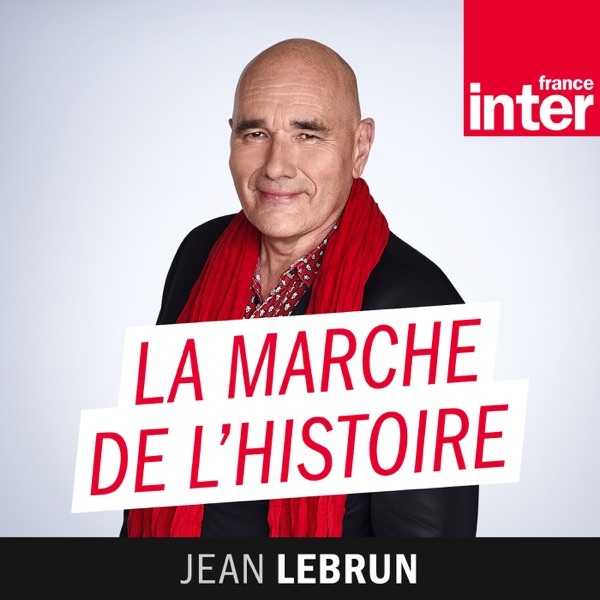 This is a little bit like the French version of a great NPR show, great historical themes, interviews with specialists in various historical topics, great production, informative, and, wonderful surprise, not stuffy at all! History is never without a point of view, don't be surprised to find a French world-view here, but a well researched, well reasoned view. I always look forward to listening. C excellent surtout en expatriation! Encore un expat qui se régale avec un tel programme! J'adore! Je serai fiere de payer ma redevance audiovisuelle ne serait ce que pour voir sortir du lot une telle émission. Ouf ! Et bravo! Je suis d'accord avec l'autre review. Ca serait génial de connaître le sujet du jour. cette emission a baucoup de classe,c'est un plaisir de l'ecouter. La cerise sur le gateau serait de connaitre le sujet du jour et le nom de l'invite avant l'ecoute. This is a great podcast. They really get to the point and heart of key historical topics and events. The French is very easily understood. Good for History lovers, and people trying to improve their French. Their range of discussion is wide so this is a good way to come ascross some new vocabulary. This is an excellent program for lovers of history. It not only covers French history through the ages, but includes many broadcasts on world history figures, events and places. It is also instructive to hear a different perspective on some of history's current and past events. Many Americans, including this one, can benefit to hear a different opinion. This is a superb broadcast in any language and invaluable for maintaining interest in the challenging process of re-learning a language as an adult. The moderator is outstanding and genuinely passionate about the interviews he conducts with historians and about the great events shaping human history.